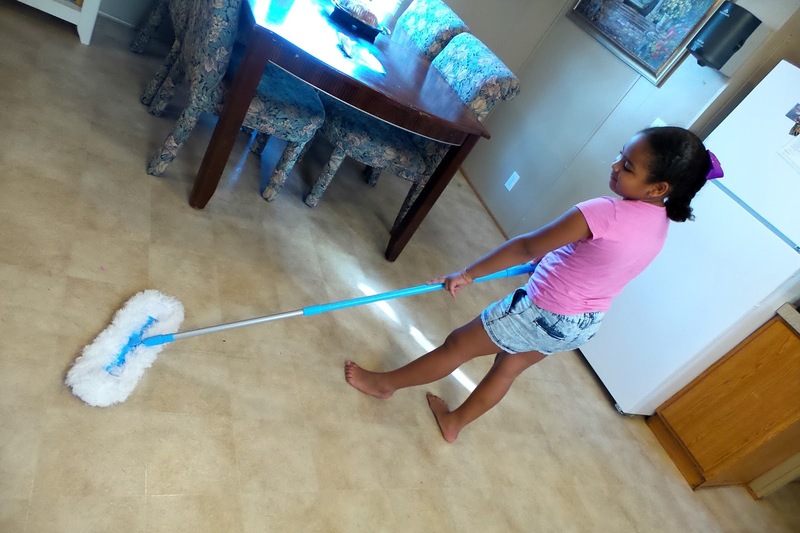 With the whole back to school madness, homework and regular mom chores, sometimes the household chores seem to get a little behind. 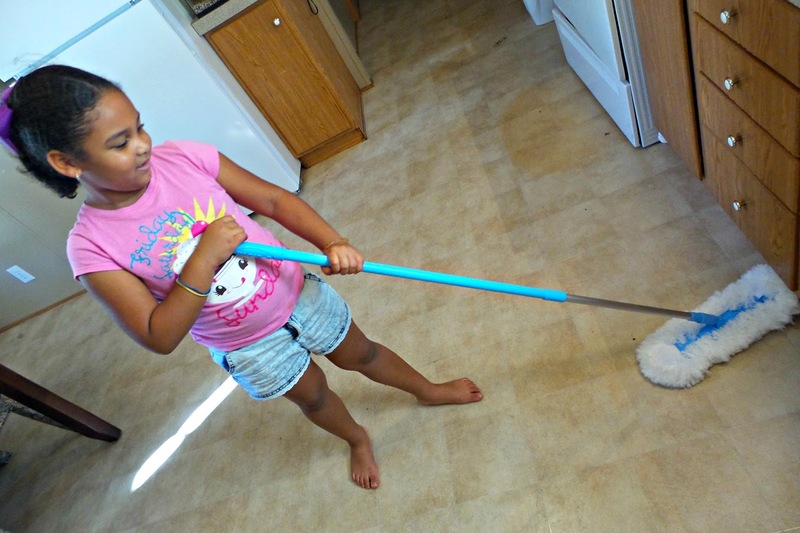 Which leave us mom’s with a great opportunity to implement some responsibility into our little ones by having them help with some chores. The one thing I will always try to keep as clean as I can is the living room area, it doesn’t mean this always happens, but I try my hardest. It seems like the moment you let your living room area go everything will go downhill from there on. 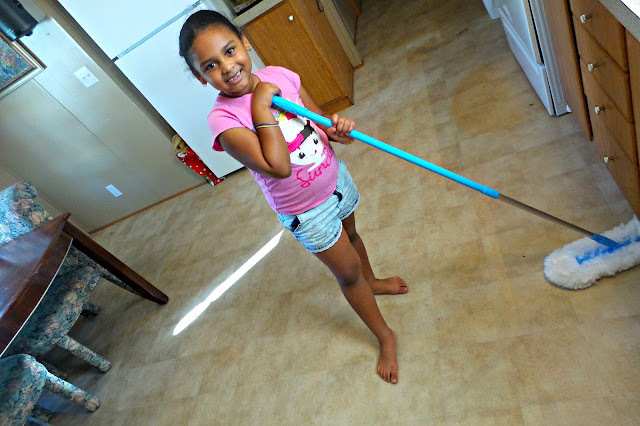 Typically, I will let Jailah (my daughter) help me out with rinsing off the dishes and cleaning up the table, but recently I introduced her to dusting our floor. 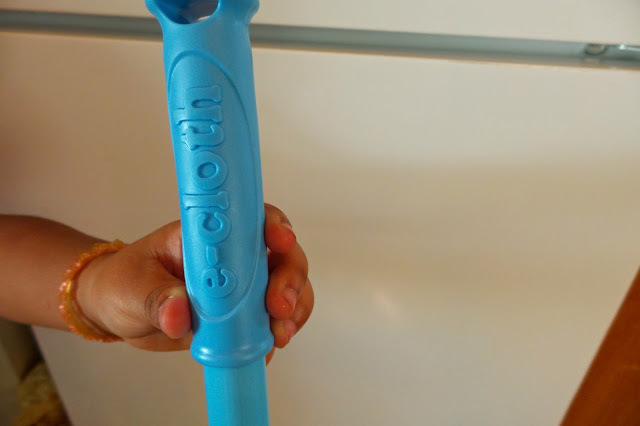 e-cloth mop duster makes this so easy and quick for my little one to help me with this chore. I recently received a complimentary e-cloth Flexi-Edge Floor & WallDuster to test out and I was excited because I knew I could easily implement this tool to my daughter to help me out around the house. 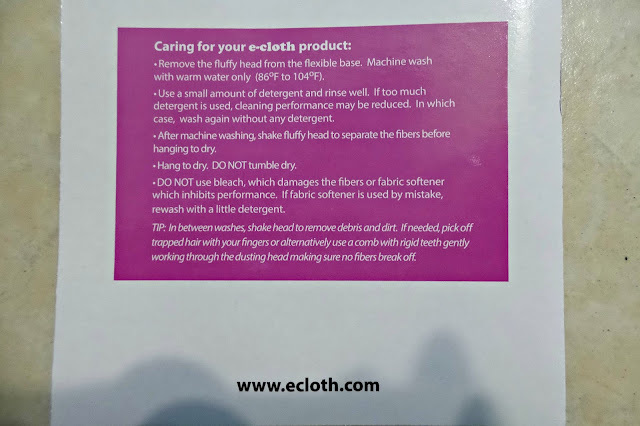 One thing that totally sold me on e-cloth products was the fact that they want to make household chores simple. e-cloth product and just water can give your home the best clean it’s ever had with less effort and expense than your current cleaning method. Now you can not tell me this is not amazing! Caring for this product was also super simple. 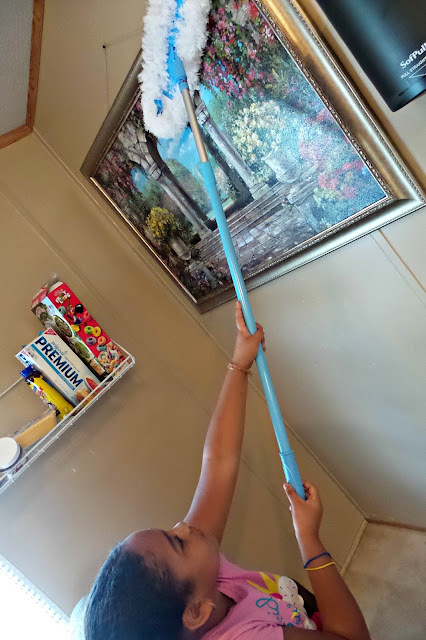 All you have to do is machine wash in warm water, regular detergent, no bleach, no fabric softener and hang to Air Dry. If you will like more information about their products you can find all about it below! I am not paid for this review, all opinions expressed on this post is my own honest, unbiased views.